Established in 1992, JP Nelson is a one-stop shop for construction equipment. The company provides machinery for the construction, engineering, offshore, oil and gas industries. JP Nelson leases products, sells new and refurbished products, and offers trade-in options and 24-hour service and maintenance. The company is always looking to improve its technologies, expand its product range, and maintain its service quality according to internationally approved standards. 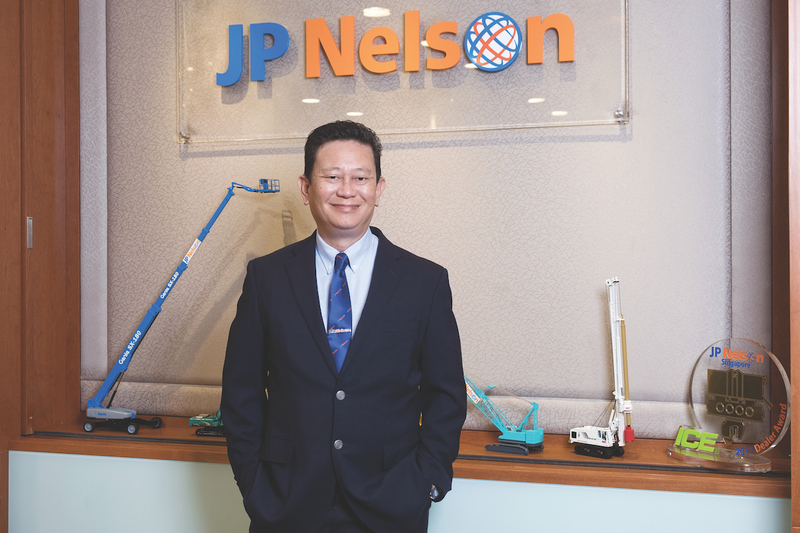 “We started out with used equipment then we moved into new equipment and now we have moved into the manufacturing of equipment so we are looking to constantly upgrade our skills,” says Nelson Lim, MD of JP Nelson. The company employs over 300 staff across branches in Singapore, where the company is based, Thailand, Malaysia, Hong Kong, Taiwan, the Philippines and, most recently, Vietnam. And Nelson is now looking to expand into Japan and Australia. “Every month we have a gathering, we share experiences, we might have some training, and we make sure we remain bonded together as a team,” says Nelson. In Singapore, the company is responsible for supplying equipment for some major public infrastructure projects, such as Terminal 4 and a new runway at Changi Airport, as well as a number of MRT lines and stations, including the SGD6.7 billion Circle Line Project. At heart, JP Nelson is a people-focused business, there to support its team and customers. While one of its core values is growth, the others are commitment, performance, quality and integrity. The company is devoted to providing a wide range of quality products and services for its customers. And for JP Nelson, customer service is everything. It has a great team of committed staff who can provide fantastic product knowledge and support. “We listen to the customer and give them solutions. Sometimes we modify the equipment to suit our customers’ requirements. So that keeps us ahead of our competitors,” says Nelson. The company has a strong workplace culture, and ensures that its staff have all the training they need for a long career in the industry. And the company has a social atmosphere.